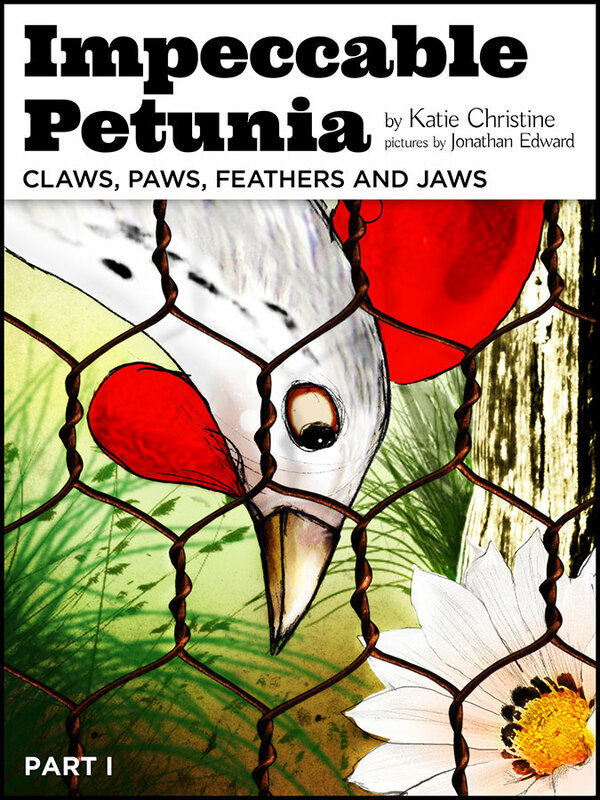 Jaffa and I were given the opportunity to read and review this delightful children's story about an intrepid hen called Petunia, and a wonderful cat named Macy. Petunia is a chicken with a heart as big as the flower garden she nourishes. Low down in the pecking order, she is never going to be accepted by the chicken hierarchy, but then an unlikely saviour in the form of Macy the cat enters her garden, and soon Petunia’s life is turned completely upside-down. Aimed primarily at the children’s story market, Impeccable Petunia is one of those lovely books which can be appreciated by both children, and adult readers. The fundamental themes of friendship, loyalty, fraternity, and equality, are portrayed in a sympathetic and understandable way, and the stunning illustrations really bring the story to life. I loved it, and have no hesitation in recommending this book on jaffareadstoo. Jaffa's favourite illustration is Cat's in the Kitchen - I have seen that expression on Jaffa's face so many times, when he has been in the wrong place, at the wrong time ! Jo's favourite illustration is Chicken Inquisition - I love the expression on the chicken's face - reminds me of the chickens we kept when I was a child - and I was entrusted with the task of collecting the eggs in my little wicker basket. The Walk in my Week..